For the first time in almost two decades, there appears to be at least a glimmer of hope that the interminable conflict wrought by the Taliban in Afghanistan might indeed be entering its final chapter. After a series of talks between the Taliban and the United States, first in Abu Dhabi and now in Qatar, both sides appear to have reached a very tentative agreement that might bring a modicum of peace, or at least lays the foundations for a more peaceful and stable Afghanistan. And given that nation’s tortured and pained history, any move that might end the conflict there is welcome news indeed. Any peace agreement for Afghanistan, however, must recognise the progress hard won by the Afghan people in their quest to develop and nurture a free and open society, where the rights of all are respected, and where women have an equal say in the running of the nation and its affairs. There is a reality that cannot be ignored — the Taliban are but one strand in an intertwined cord that together ties all Afghanistan as one, the Taliban alone must never be able to decide the course of the country, and Afghanistan is indivisible — a single political and geographic entity that can never be subdivided or split into Taliban-held and non-Taliban areas. Any territory that the Taliban now control has been brought under their influence by a long and murderous campaign of terror and intimidation. If indeed the current peace process does provide a roadmap for a more stable and secure Afghanistan, there can be no place in the government for a Taliban theocracy to thwart the secular sentiment of all Afghans. The freedoms now enjoyed by the people of modern Afghanistan are irrevocable, and should there be any doubt on this, all that is required is for the government and people of Afghanistan to look at Iran for powerful portents of what occurs in a political theocracy. Reaching a peace deal is not an end in itself. As with Rwanda and Northern Ireland, the hard work begins in building peace — one where disputes must be arbitrated with cool heads and the rule of law, not through bullying, the bomb and the bullet. For peace to take root, it means dealing with the past, revisiting and resolving disputes through a truth and reconciliation panel and process. 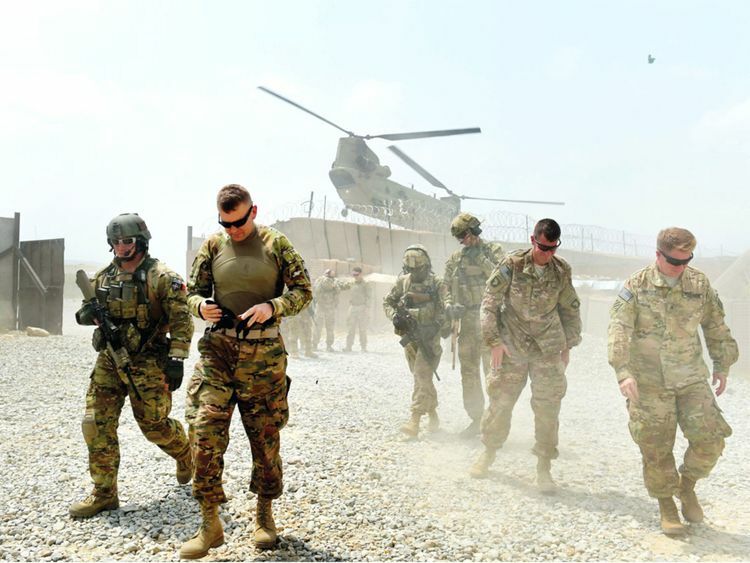 Yes, the removal of foreign troops would be remarkable one day, but for now, there is a need to build and train Afghanistan’s security forces, ensuring peace can indeed be sustained.